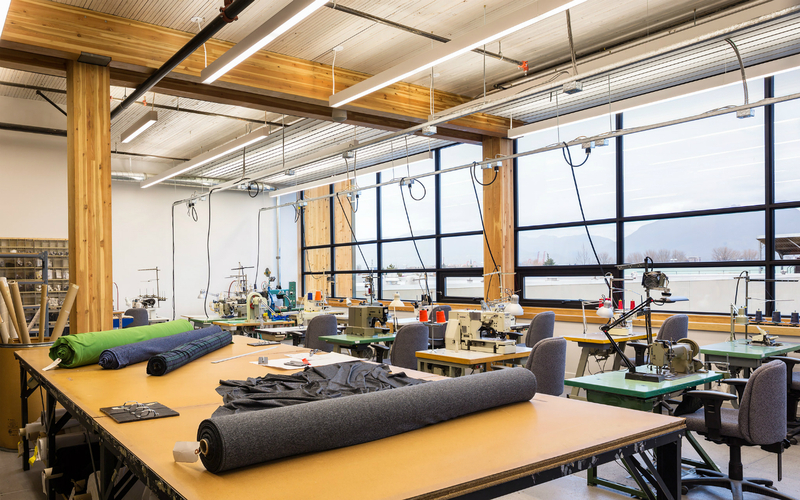 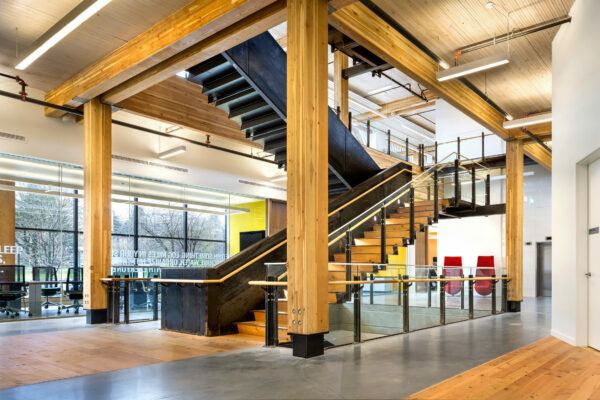 There might not be a more “Vancouver” headquarters than that of Mountain Equipment Co-op (MEC). 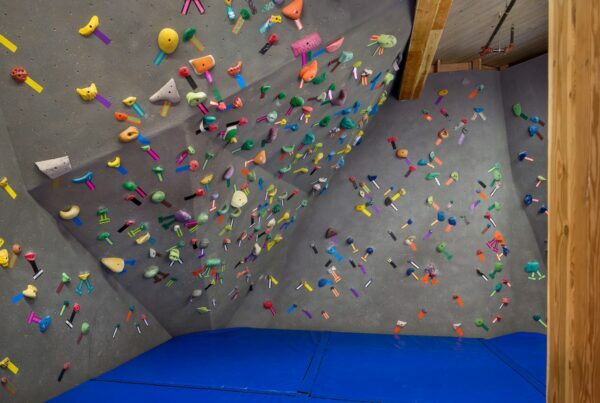 Proudly embracing the city’s active lifestyle (and of course promoting it through its apparel and goods), MEC boasts an office with not only a yoga studio, but also an indoor rock-climbing cave and a storage room that can hold 128 bikes. 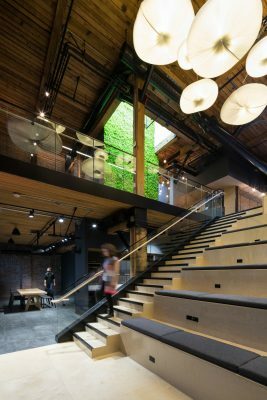 A striking four-storey steel staircase means employees can get a little movement going between floors, and a nap room allows them to catch a sometimes necessary and rejuvenating snooze. 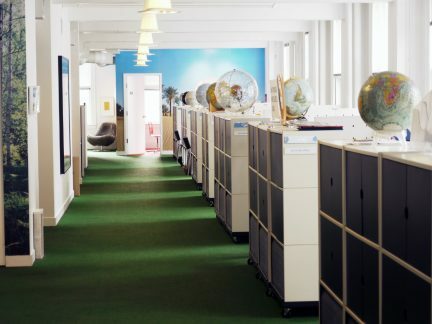 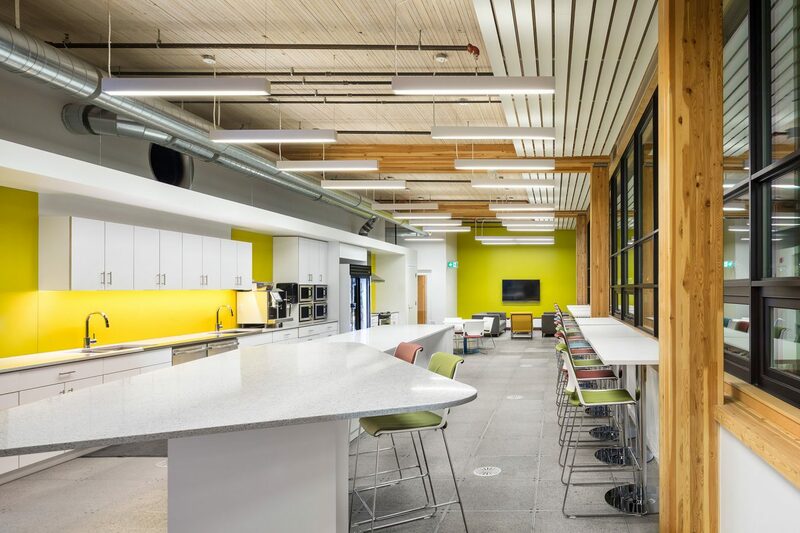 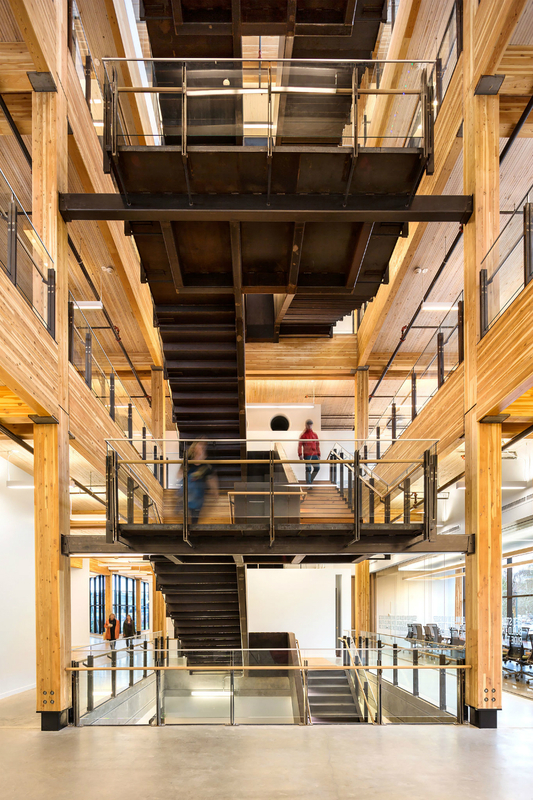 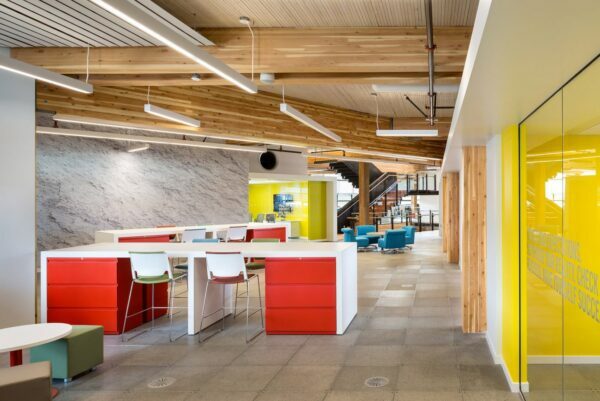 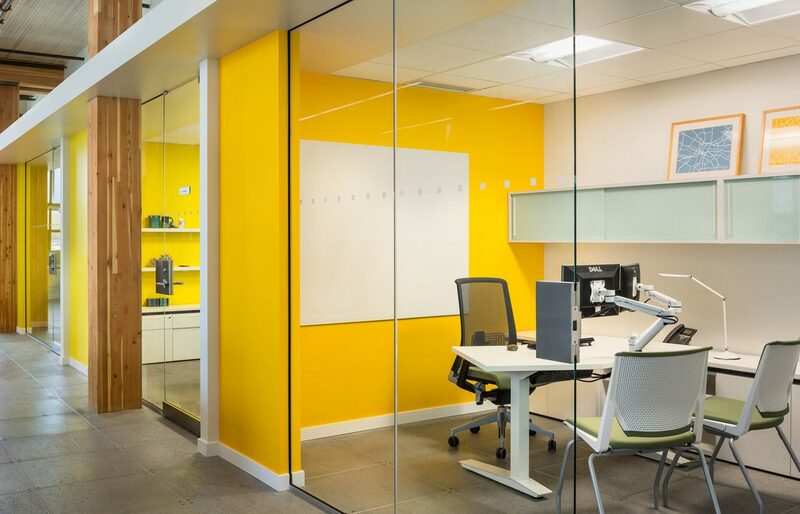 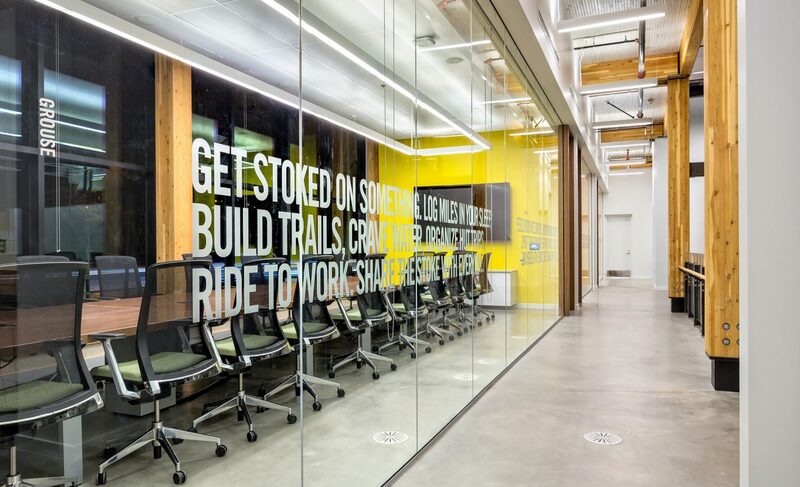 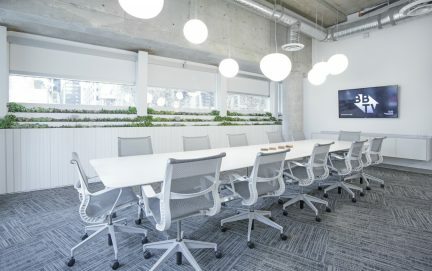 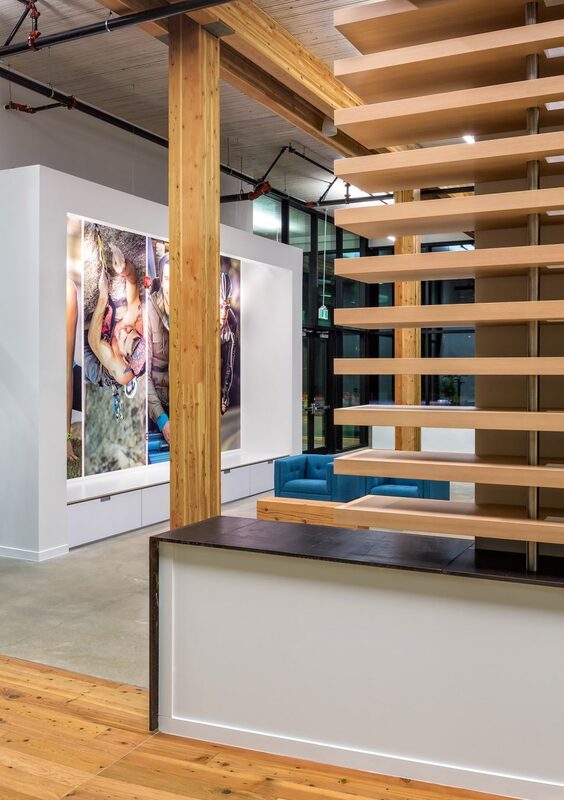 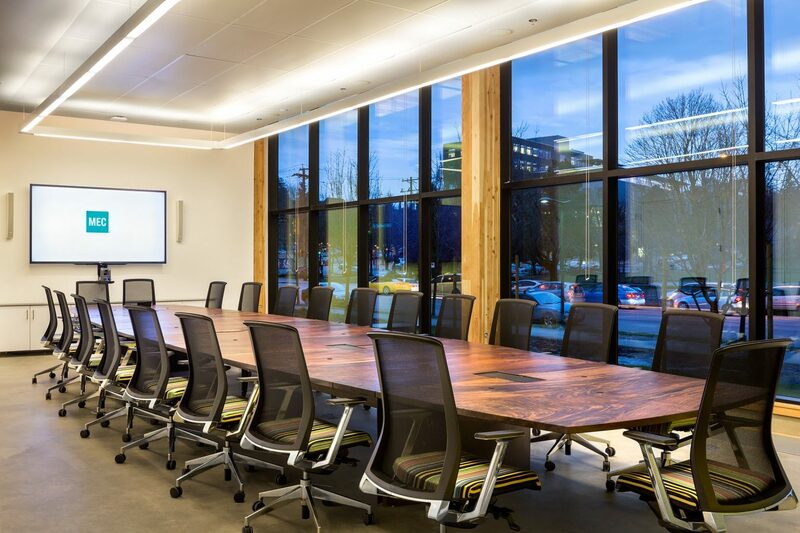 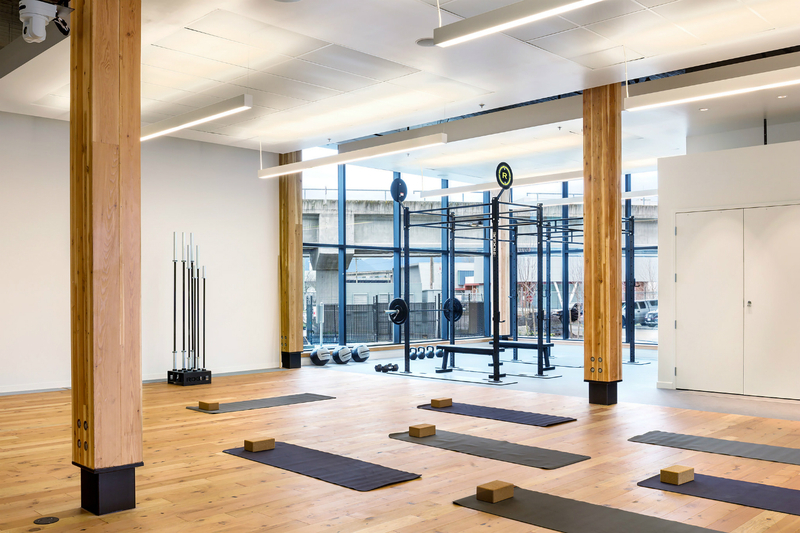 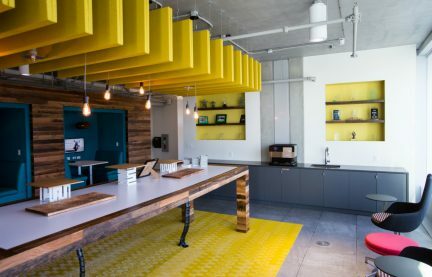 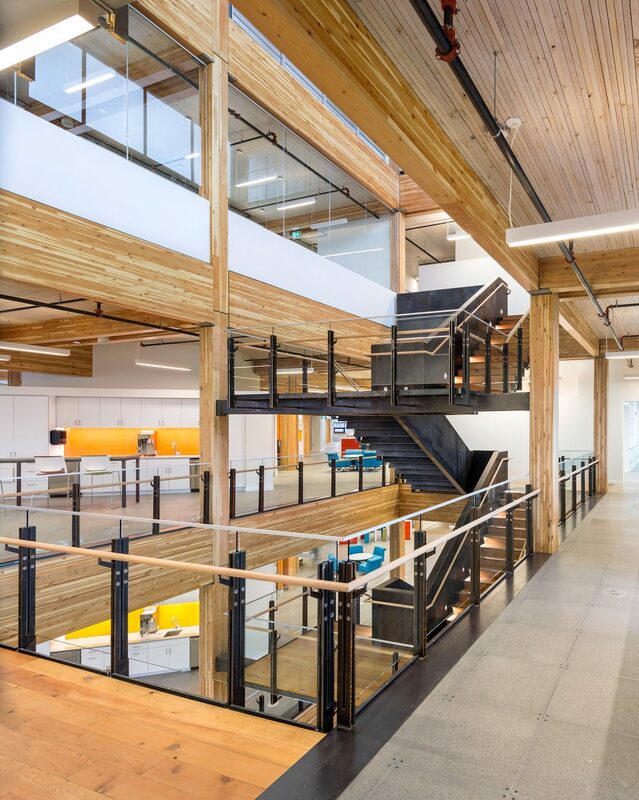 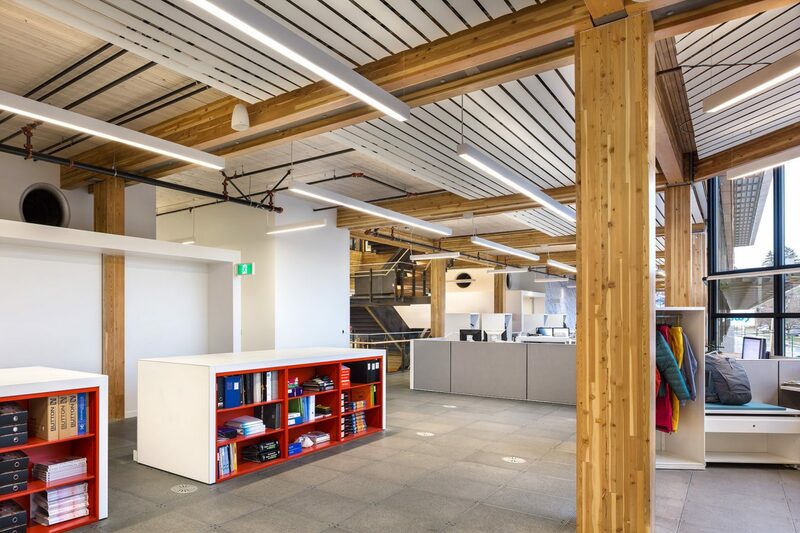 Designed by Proscenium Architecture & Interiors, the space employs wood, glass, and bright paint for an airy and cheerful feel, adheres to LEED Platinum standards, and can hold a whopping 300 employees. 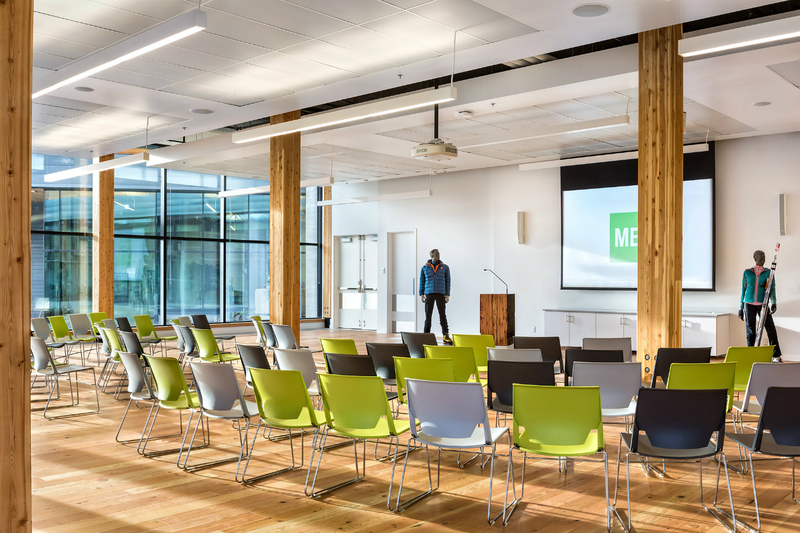 The rooftop has a garden and also captures rainwater for toilets and crop irrigation, and overall, MEC’s offices are an estimated 70 per cent more energy efficient than typical commercial buildings. 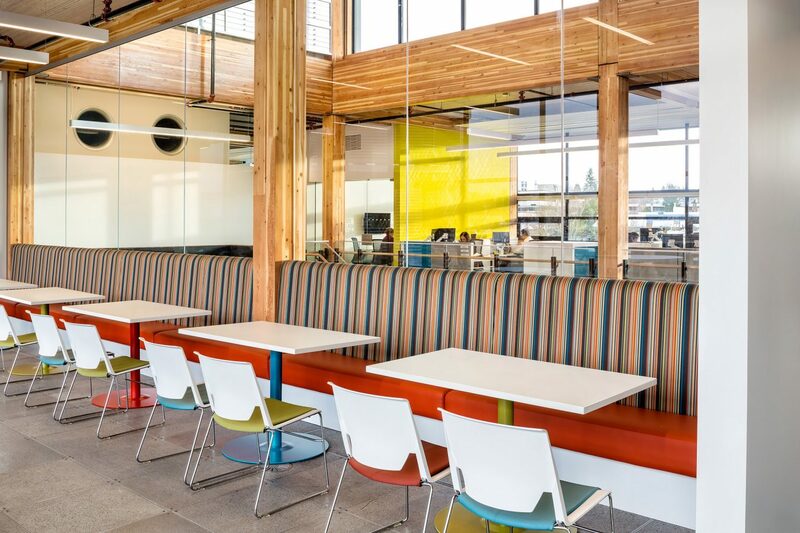 With positives such as these, it’s not hard to understand the appeal of #MECNation.